In "the Selfish Gene" Richard Dawkins popularized the theory that ideas (or memes as he called them) evolve like species do according to Darwin's theory. Ideas travel from one person to the next, through communication, building as they travel from one person to the next. It is however not knowledge that gets communicated: we only communicate information, and the receiver then turns it into new knowledge for themselves, based on their earlier knowledge. Basically, that means you can't lead people to knowledge, but can only provide them information which they then turn into knowledge themselves. 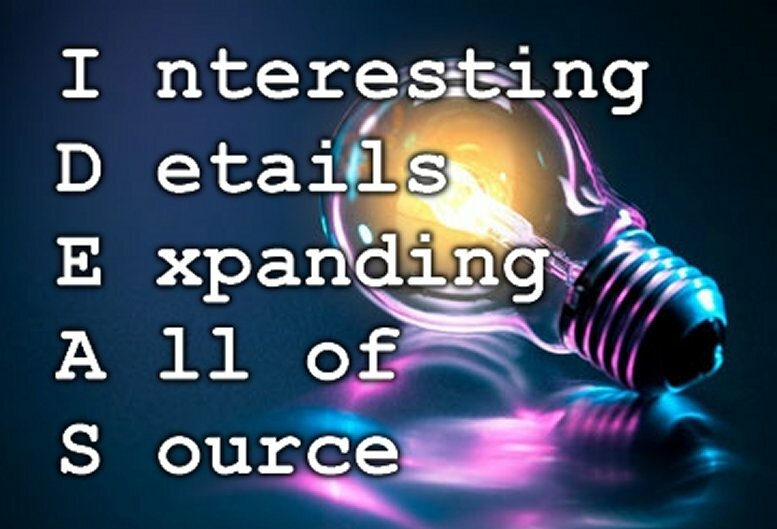 Now that may mean that ideas get properly transmitted from one person to the next, or the receiving party might get what is called an 'original idea': one that wasn't in the information given, but which changes the whole ball game!